Fruits and vegetables all have a “season”. Meaning, there are certain times of the year when fruits and vegetables are at their best and taste fantastic. Living on the east coast, I find tomatoes are at their best during the summer and early fall months. I grow a lot of different types of tomatoes in the summer and miss them when they are gone. Of course, just because the seasons change it does not mean you cannot get good tasting vegetables. However, you have to be careful because “out of season” vegetables like tomatoes can lack flavor and may not have a nice texture inside. Even tomatoes imported from warmer climates may not live up to east coast summer tomatoes. For that reason, I sometimes like to roast tomatoes to bring out their natural sweetness. 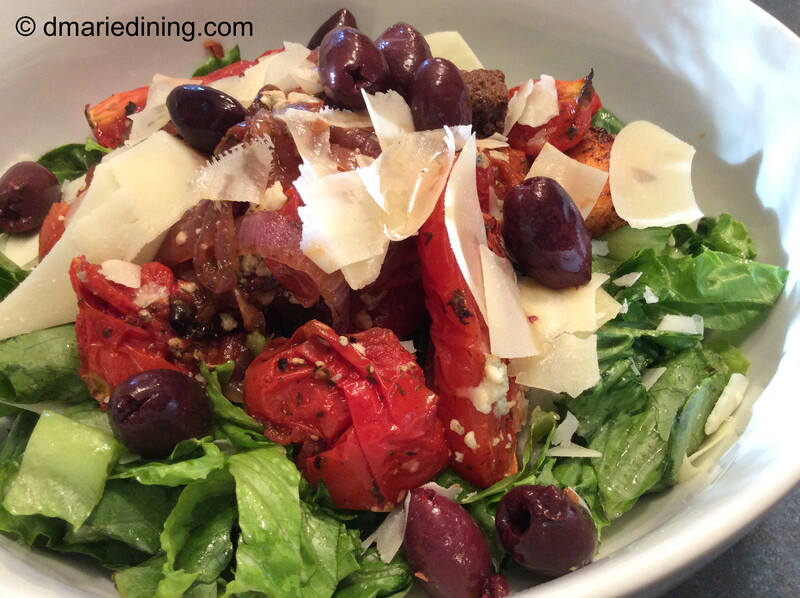 Roasted Tomato Salad is wonderful because the roasted tomatoes add a nice kick of flavor to the salad. 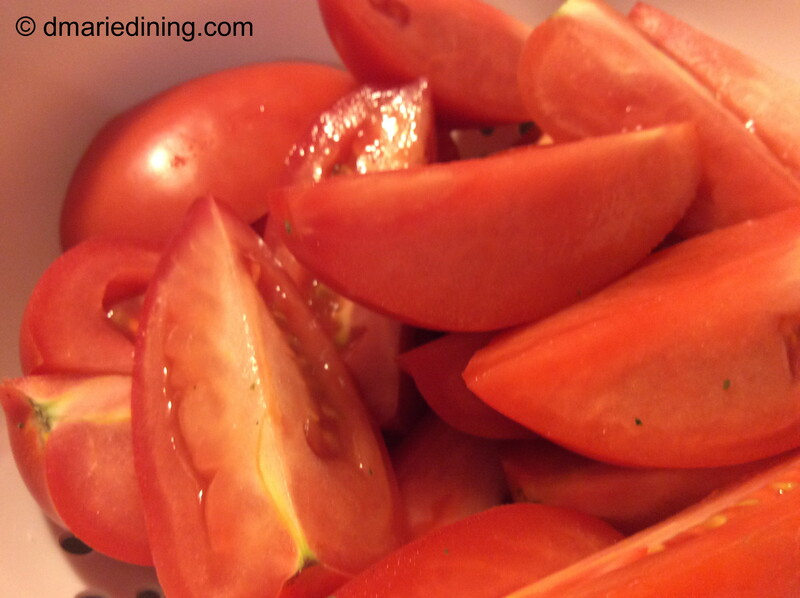 My Roasted Tomato Salad is nutritious and full of savory and slightly sweet flavors. 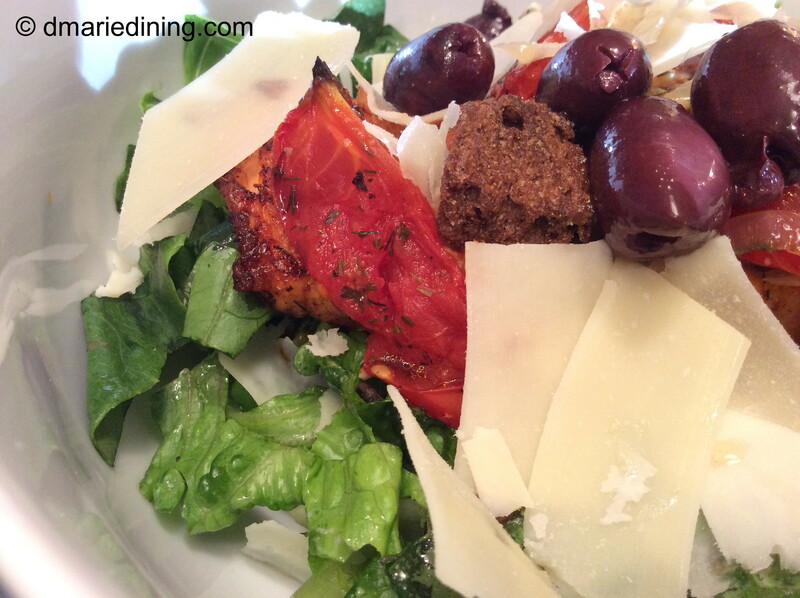 Salads are a very personal dish because you can combine all of your favorite vegetables, fruits, nuts and meats. Or, you can keep it simple with only lettuce and roasted tomatoes. 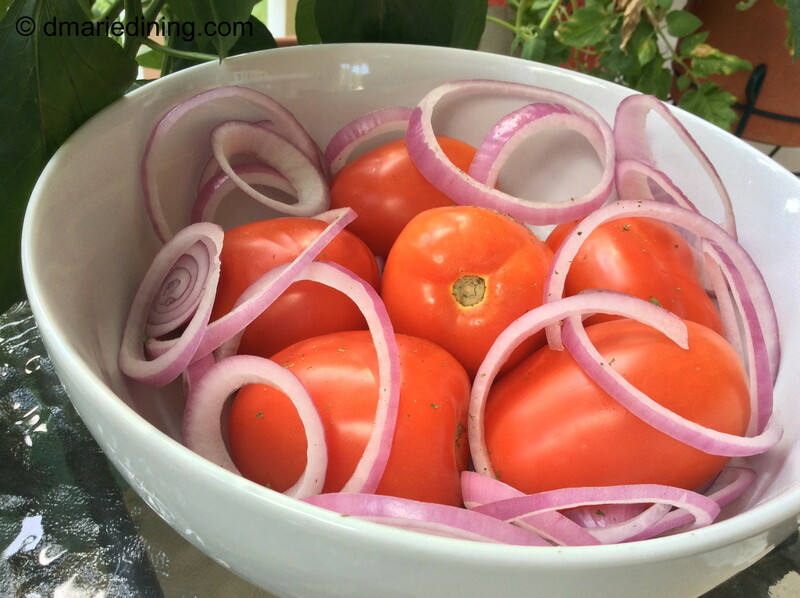 Toss tomatoes with red onion slices and season with olive oil, salt, black pepper and oregano. Spray a rimmed cookie sheet with cooking spray and then spread tomatoes and onions on the cookie sheet. Roast for 30 – 45 minutes until browned and/or slightly charred (based on your preference). Let cool for 10 minutes. Toss cooled roasted tomatoes with the remaining ingredients in a large bowl. Serve as a main dish or nice appetizer.